Look what my son in law, Steve, did to our little baby! He had the caption under it - "How babies are delivered!" 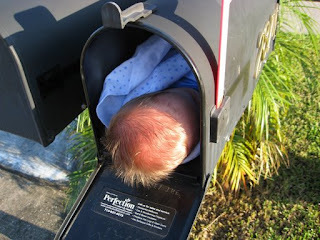 Isaac actually looks pretty comfy & snuggled up there - thank goodness the mailman didnt drive by! 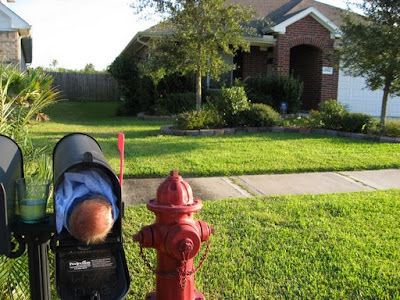 Hey, who do I call to get one of those delivered to my mailbox!!!??? That reminds me of when I used to tease Jalen and tell him that I ordered him out of a catalog! He never believed me, but he would ask me over and over again where he came from just so I would tell him that, and we would just laugh and laugh! I was gonna say it but see Amy beat me to it lol.